Tonight was the night, I have made the final cake. I bought wine based on the brands; Cupcake and Layered Cake, and Martinellis for the littles. After a nice dinner with family, I pulled the cake and ice-cream out of the freezer already assembled and ready for the swiss meringue and fire. A traditional Baked Alaska has a sponge cake but I made a brownie-type cake and used mint chocolate chip ice-cream because I thought my family would like the combination. I was kind of avoiding the last cake… and I was not really sure how to end the Year of the Cake. 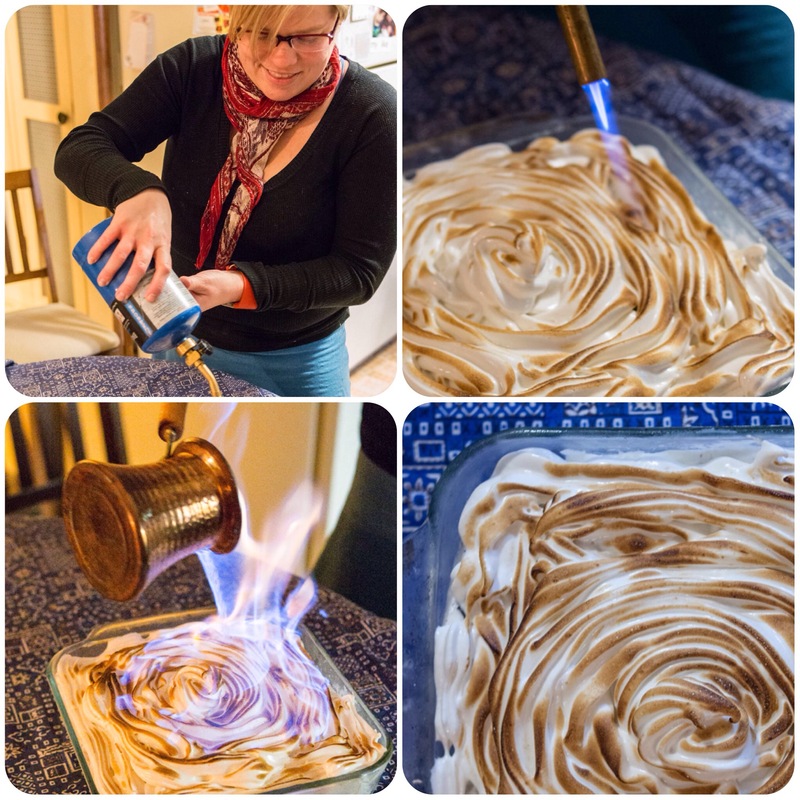 I knew the cake would be a Baked Alaska and I thought about having a party with friends to celebrate. However, that just did not quite seem to measure up with the timing and my mood.In the end, I think that this fitting. The cake itself was delicious but not quite exactly right. I think I should have frozen the cake and ice-cream together for longer and worked to get a more billowy meringue. Now lighting dessert on fire was a treat. I enjoyed this much more than I realized. I used a propane torch (thank you Ryan) AND a shot of liquor lit on fire to double-flame the cake…which might have led to some of the meltiness. Regardless, I finally completed a goal that took a year to do. I don’t usually keep resolutions quite so rigidly, but I did it. Maybe the secret is having a delicious goal or one that people will keep asking about so it helps to keep going. Perhaps there will be a repeat of this cake and a party with friends. Or maybe I will find that an anticlimactic ending was the best way to conclude this season. And yet, I suspect that there is more to come with this Year of the Cake project. Yes, that’s fitting: more to come. 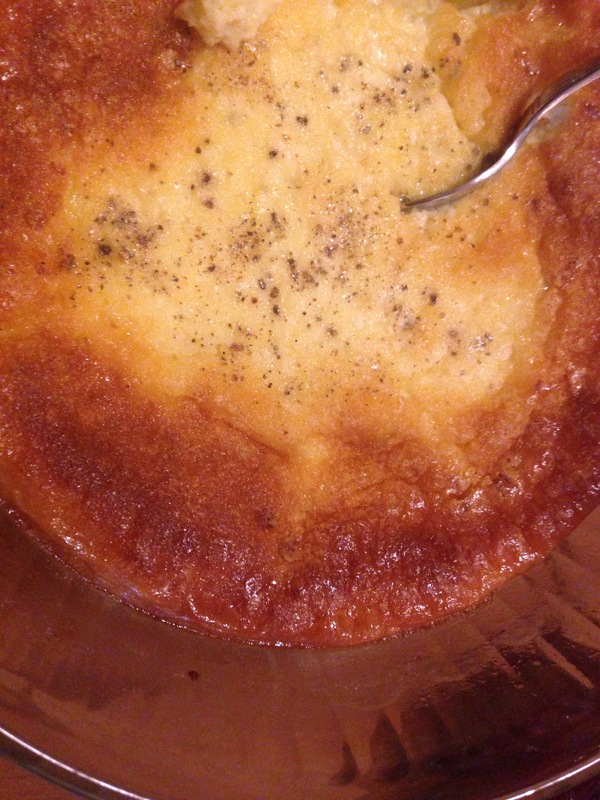 This entry was posted in Year of the Cake and tagged cake on December 31, 2015 by Linnea. Second to last cake and I am out of key ingredients for the planned cake: melting chocolate and powdered sugar. At least I have butter. Normally I would either pick a different cake or run to the store. However, it is Christmas day so the stores are all closed and THIS is the Christmas cake I have planned. Meringue mushrooms are already hardened and pearl sugar is waiting to make complete the snow flaked scene. What’s a girl to do? Chef Google tells me that my high powered blender or food processor will make powdered sugar and I already know that I can adjust for the melted chocolate with cocoa melted into sugar. I can do this, I can do this. But first, I shall take a Christmas Day walk in the woods with my family. It was a different sort of Christmas- we celebrated earlier in the week with my family in Wisconsin, so it was a fairly quiet, super relaxed, and non-snowy day at home. For dinner we had meatballs (homemade, thank you Aunt Jan) with ostkaka, mashed potatoes (both sweet and white) and we tried something new: Cuban style Rice & Beans (Moros y Cristianos)… more on the rice and beans project for 2016 is forthcoming but this was our start. 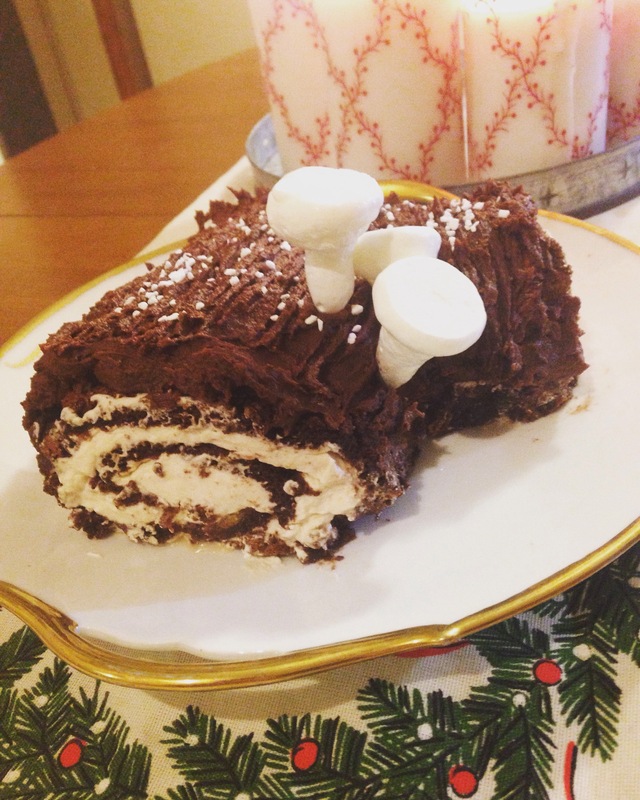 So the cake itself was not pretty, no one will ever know because this while swill cake roll was covered in chocolate buttercream frosting, twined with a fork to look like a log. We (along with my Cousin Joyce) would probably have eaten the entire thing but I thought ahead and saved a piece for my friend Allison to try (who happened to be in town, win). Next time, I will make sure to have all the ingredients ready and would probably start with a different chocolate roulade recipe. Still, it was delicious. 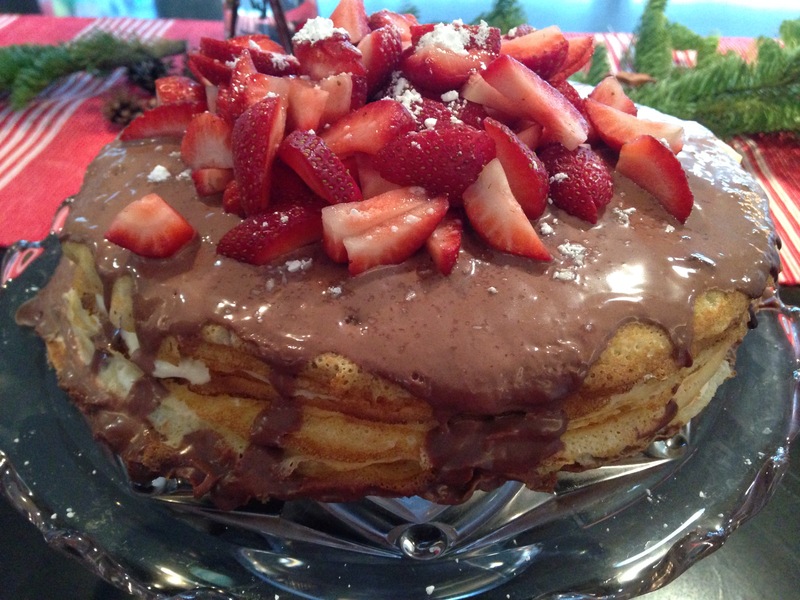 This entry was posted in Year of the Cake and tagged cake on December 25, 2015 by Linnea. Swedish julboard cake made with cheese curds. Not exactly pretty but rather tasty. This entry was posted in Year of the Cake and tagged cake on December 24, 2015 by Linnea. 23 Crêpe layers on my first December 23 without my most appreciative cake tester and motivation for this year. Happy Birthday Grandpa! This entry was posted in Year of the Cake and tagged cake on December 23, 2015 by Linnea. 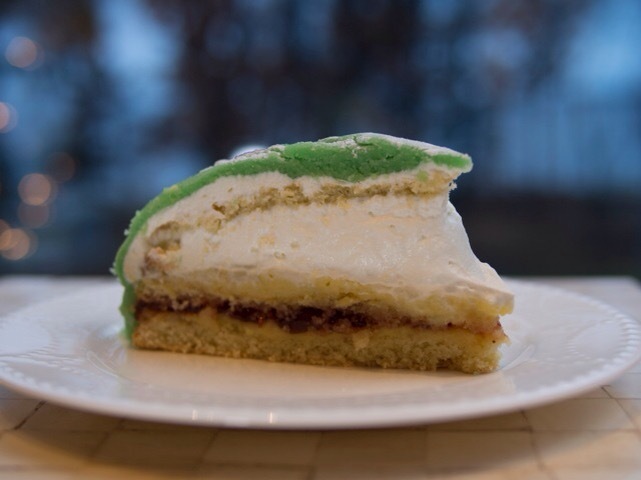 There is a princess cake WEEK observed in Sweden the third week of September. I was too exhausted for a complicated cake then so here it is now. 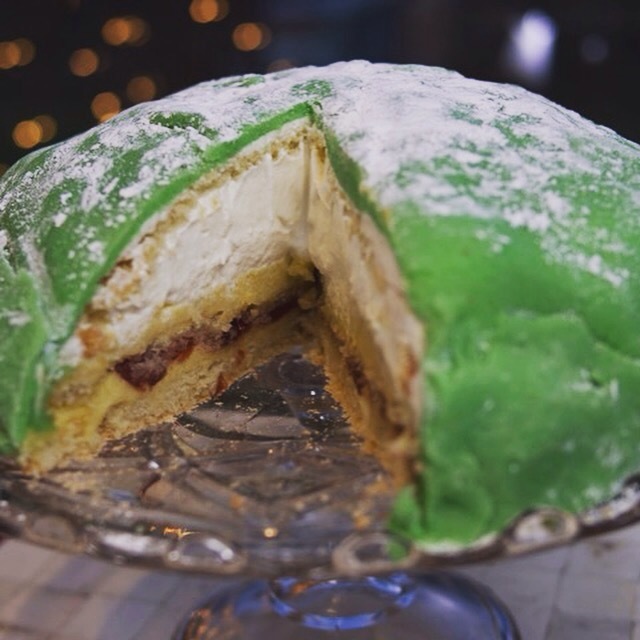 This entry was posted in Year of the Cake and tagged cake on December 21, 2015 by Linnea.